YES! 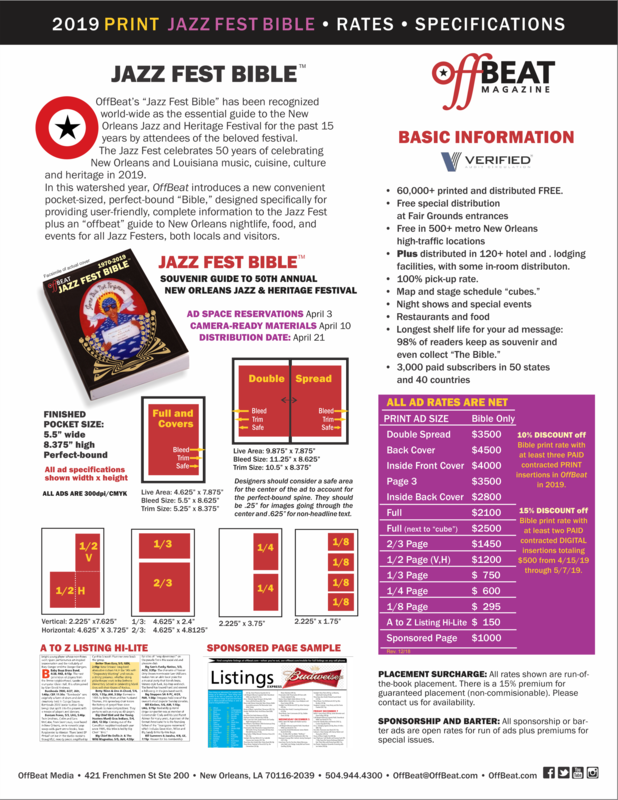 I want to be a part of the 2019 Jazz Fest Bible™ that celebrates 50 Jazz Fest years! Deadline to reserve advertising space is APRIL 3, 2019. Camera-ready materials due on APRIL 10, 2019.